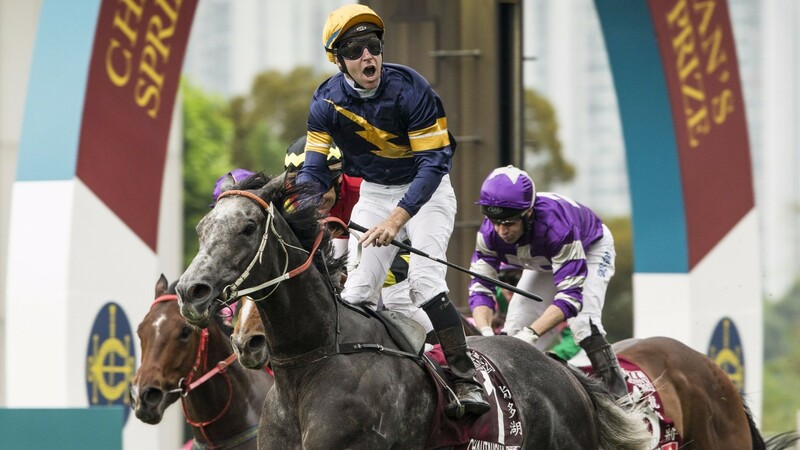 Chautauqua’s racing future remains in the balance with Racing NSW stewards likely to rule on his eligibility to return to the track on Monday. The eight-year-old was on a ‘final chance’ after six times failing to jump away from the barriers in trials and, while he again missed the start by as many as ten lengths in the special trial between races at Rosehill on Saturday, he managed to keep his racing career alive for another few days at least by flying home to get involved in the finish. Racing NSW chief steward Marc van Gestel had indicated during the week that if Chautauqua did not jump to the satisfaction of stewards they would place a ban on him racing again. Chautauqua did not jump with the field but eventually dawdled out of the gates and then tacked onto the back of the trial before the home turn. He then unleashed his trademark sprint to be beaten centimetres by Zousain. Co-trainer Wayne Hawkes confirmed on Saturday afternoon that Van Gestel had announced a decision on Chautauqua had been deferred until Monday. “The stewards wanted to adjourn it and wait until Monday,” Hawkes told racing.com. “We’ll have a conversation with them then.